Forbes released its lists of Chinese celebrity rankings, with NBA star Yao Ming coming first both on the income and social influence rankings. Famous athlete Liu Xiang, the 110-meter hurdling world record holder, and blockbuster director Zhang Yimou were second and third on the list of social influence, while their incomes were fourth and sixth respectively. It is noticeable that in the top 10 in social influence, other than those named above, all the others were females from showbiz. Gong Li, with an income of 46 million yuan, or nearly 6 million US dollars, is fifth both in terms of income and social influence. Her rise in social influence is due to her growing spotlight in Hollywood after starring in "Miami Vice" and "Hannibal Rising" in 2007. Zhang Ziyi is fourth in social influence after her performance in "Memoirs of a Geisha," but her income dropped to 18th because she had no new releases in the past year. 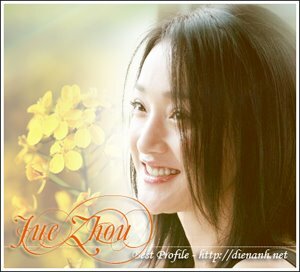 Zhou Xun is 6th in social influence and her income ranks 10th with 23 million Yuan. It is astonishing to find Twelve Girls Band coming in second in income. They earned 130 million yuan, or about 18 million US dollars, after performing 50 concerts on their world tour. However, their social influence only takes 37th. Forbes list is based on the income and social influence of the candidates. "Income" here refers to their pre-tax incomes rather than the actual ones. Their activeness and fame are also taken into consideration.